Here is the EA Counter Figures from the fish-counter at Restormel. Some large fish, probably large Sea Trout (hens) entered earlier this year. 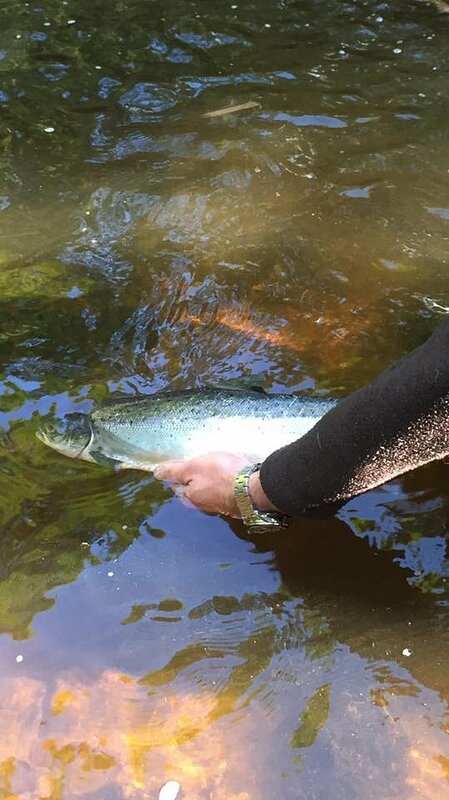 As the year progresses we think of these larger fish as being predominantly Salmon, with the run starting slower than last year but building up to the 10-year average as we head into Autumn. 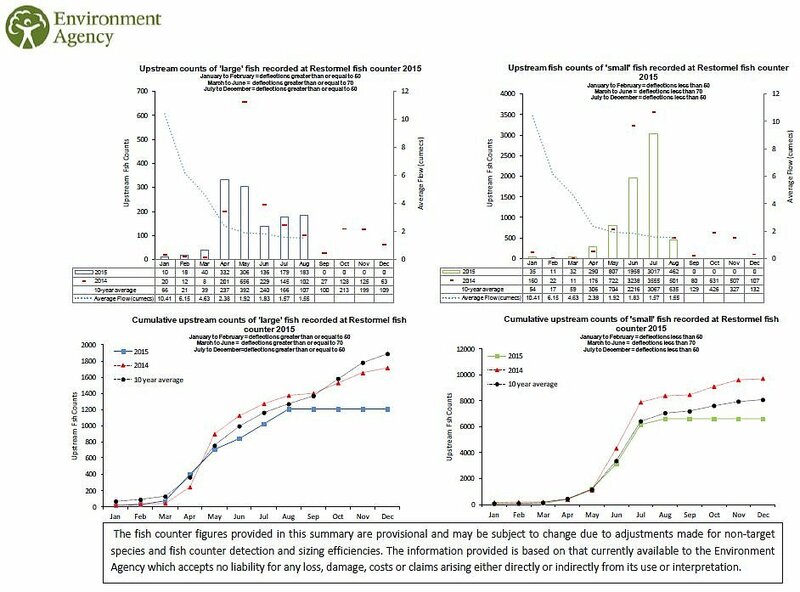 Fishing conditions have certainly been good - so it will be interesting to compare the run and rod catch figures for 2015. 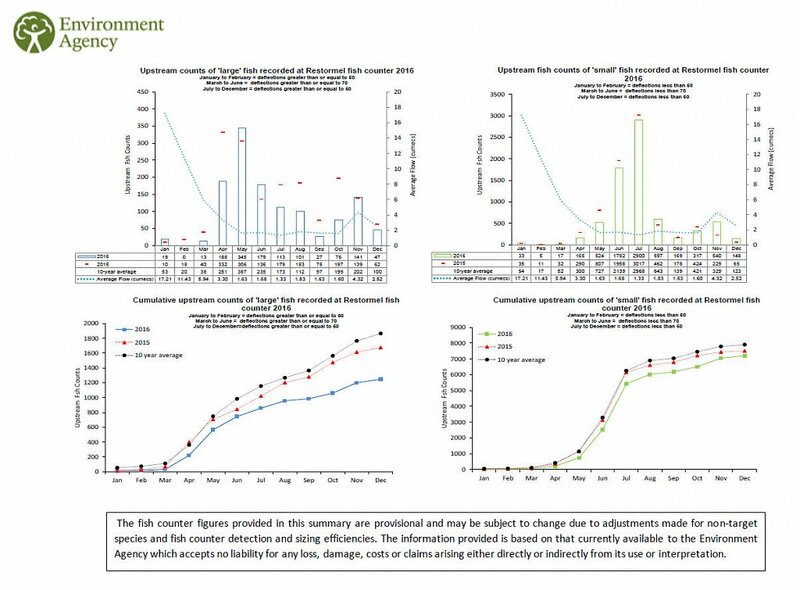 The Environment Agency have just published some interesting statistics from the Restormel Fish Counter in Lostwithiel. 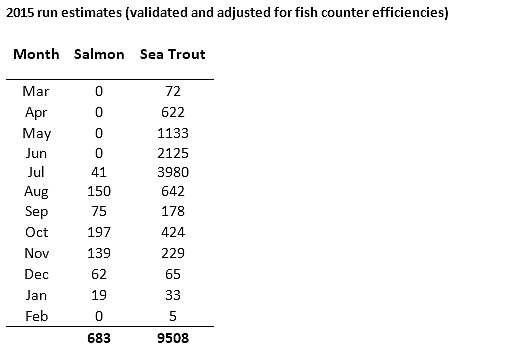 Sea Trout & Salmon runs are close to the 10-year average so far this year - and a little slower then last year.